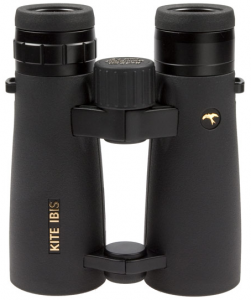 The characteristic slim open hinge design together with the resulting low weight make the Kite Ibis ED 8x42 a very comfortable binocular to use. The high quality solid construction is clearly evident and includes a smooth action focus wheel, quality 4-position twist-up eyecups while the rubber armor is designed to provide maximum grip and protection. They are also benefit from being fully waterproof and fogproof, impressive close focus to just 1.4 metres and a wide field of view. Additional benefits are an easy to clean eyecup assembly with new eyecups provided free of charge if required. However, the most important feature is the stunning visual performance. The newly developed optical system featuring ED lenses helps to provide class leading images with high contrast edge to centre sharpness, excellent colour reproduction and brightness. 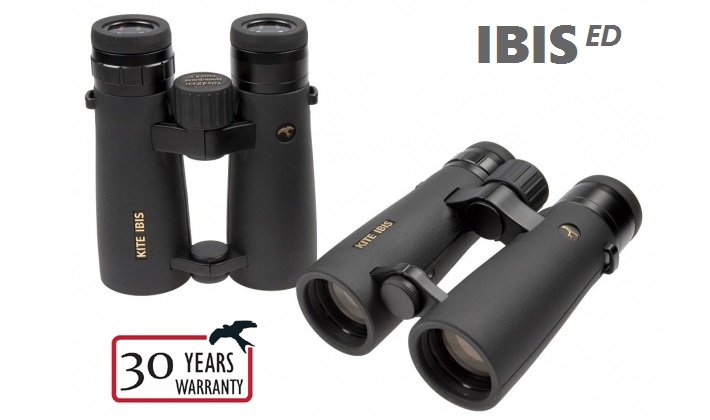 The KITE Ibis ED 8x42 binoculars benefit from a 30 year manufacturer's warranty while another very useful inclusion is the Accidental Damage Warranty Cover. If you drop the binocular and it goes out of alignment, if you scratch the lenses, or any other reasonable damage, Kite Optics will repair the binocular and charge no more than £75. This outstanding additional cover illustrates the care for customer service that Kite have become famous for. Put simply, this is an excellent value for money binocular which must be seen for anyone thinking of changing their binoculars to the top end of the quality spectrum but without the top end price.